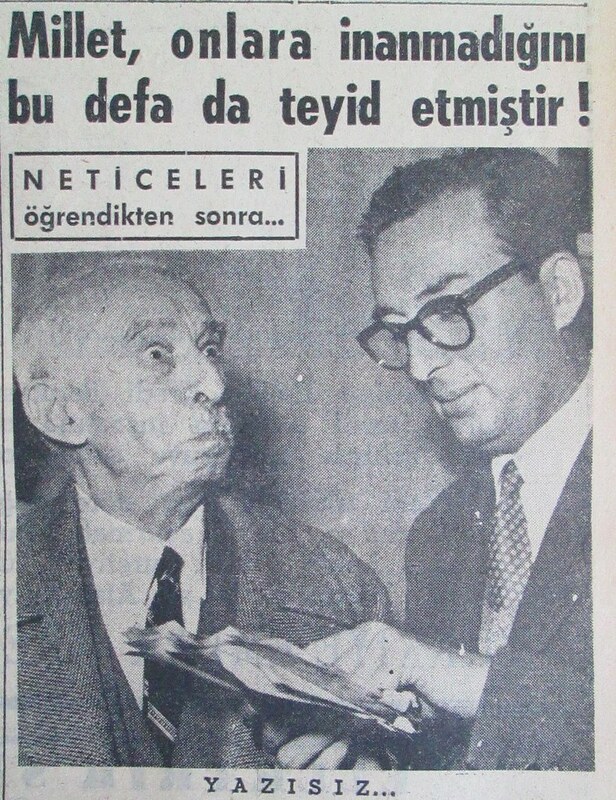 Im taking advantage of one of the all too rare occasions Ismet Inonu is in the news to publish some of my favorite pictures of him from the 1950s. 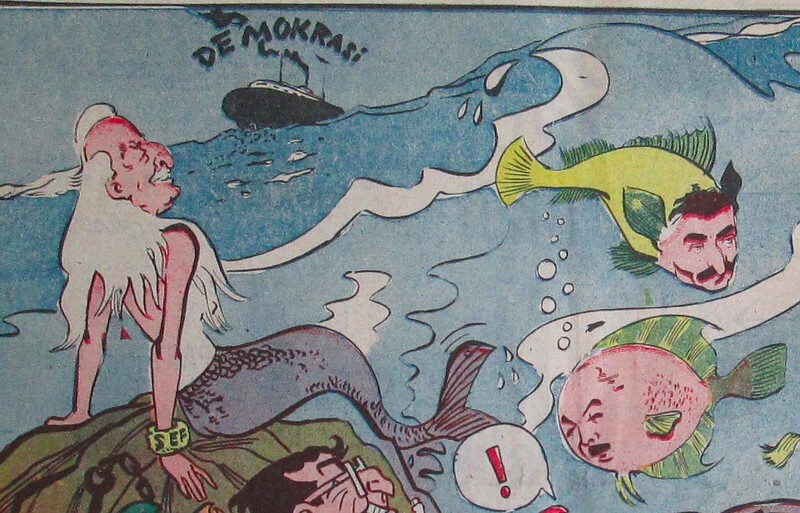 The picture of Mermaid Inonu, complete with Ecevit and a Recep Peker puffer fish, is from Cumhuriyet (home to many equally amazing cartoons). My favorite Akbaba cartoon (here), from 1953, shows Inonu breastfeeding a bearded baby symbolizing religious reaction and the Nation Party. 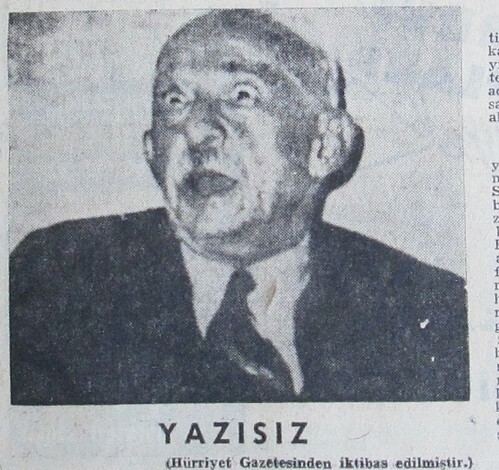 The two pictures below were published in Zafer, the Democratic Party paper, from the era purporting to show Inonu's reaction to his defeat in the 1957 election. The Democratic Party pioneered the strategy of lionizing Ataturk while condemning Inonu for all the things they hated about the one-party era, and even went as far as to routinely compare him to Hitler for his dictatorial policies in the 1940s. Inonu's decision to cede power via elections in 1950, however, remains an unprecedented act of democratic statesmanship: declassified documents make it increasingly clear he made this decision of his own accord, with every reason to believe that America would continue to fully support him and his country were he to stay in power through authoritarian means.